The Shure PSM900 UHF Personal Monitoring System is a high-end wireless in-ear monitor kit. 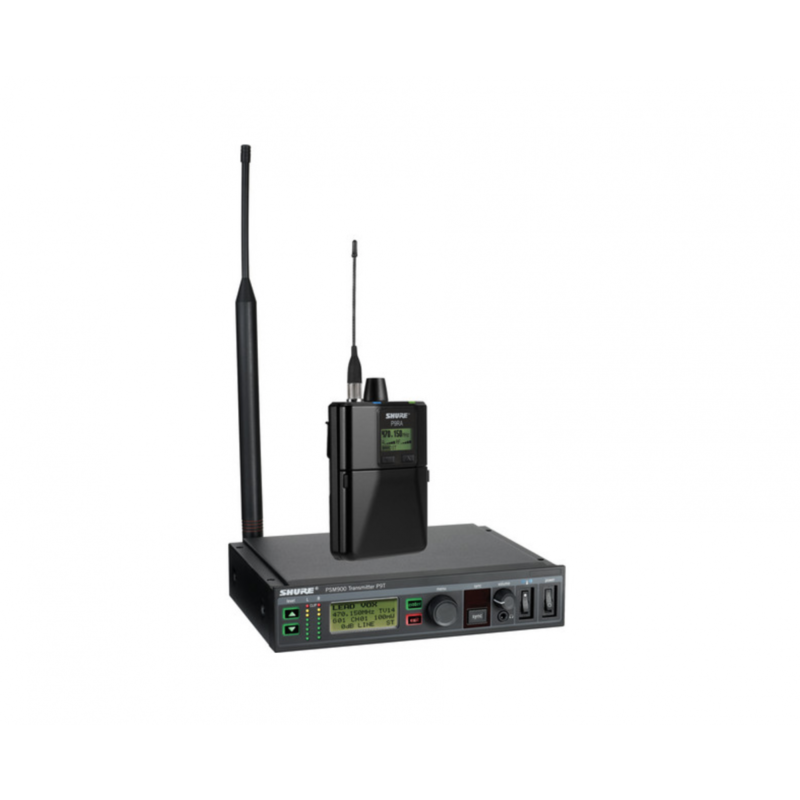 Consisting of a P9RA wireless bodypack receiver, and a P9T half-rack transmitter, the kit can be used to send stage mixes wirelessly to an on-stage performer, removing the need for on-stage monitor speakers. The kit is tuned to Shure's G7 band between 506 and 542 MHz. Featuring a Scan and Seek IR link, the bodypack determines which is the clearest frequency available, and tunes the receiver to that frequency via IR. Its CueMode allows the performer to monitor different stage mixes, while Shure's Audio Reference companding is designed to bring the sound quality closer to that of a wired connection.